There's a lot of areas where I think Australians are behind the eight ball, but there's one aspect of our society that I am always really proud of when I go overseas. It's what we've done on restricting smoking. Everywhere I've travelled the last few weeks I've been shocked by the sheer number of smokers, especially young smokers, that I've seen. I was particularly appalled at Neuschwansten castle the other day where smokers, when called into the castle for their tours, just walked up to the castle walls and casually flicked their still smoking cigarette butts over the side into the woodland below. I wish I could have thrown them over that wall. 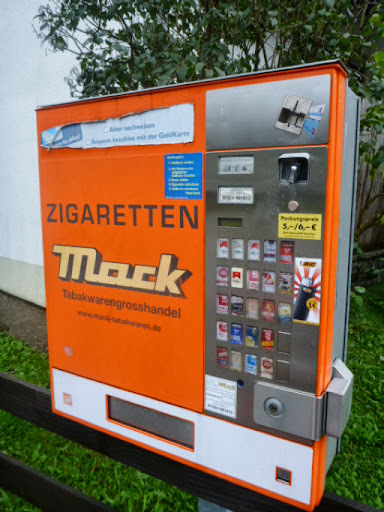 But hey, with cigarettes available on virtually every street corner through vending machines, who's surprised. Good one Australia, you've got this one right in my books.